Sometimes mannequins come alive, this script-free mod makes them stay where they should. You should not need to reupload this on your own. This mod may not be used for commercial purposes including but not limited to monetized youtube videos, youtube, personal or private websites, commercial websites or other. This is part of the CK user agreement in that no mods may ever be monetized or used for money-making purposes regardless of website or platform. 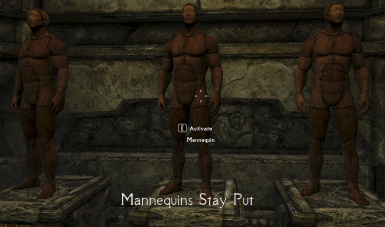 This is a simple, script-free mod that alters the mannequin package to make it stay put. 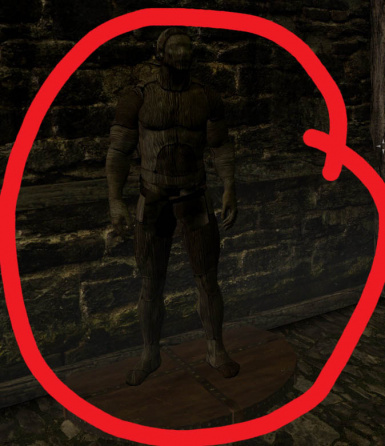 While USSEP writes a better script than Besthesda, if a player home has more than 5 or 6 mannequins in a cell, they can start to wander around. The best place to put the ESP is below any housing mods so the mannequins benefit from the package. While this mod is not dependent on USSEP, you should download it anyway because it is brilliant. It is compatible with any mod that does not alter the same MannequinStay package. So you can use texture replacers or other scripts if you want -- as long as they don't mess with the packages! You can uninstall this at any time and it will not affect your save because it is a package not a script. All DLC's should be installed. If you have never opened up the Creation Kit, something you do not see are the invisible markers that tell physical objects to do things. One of these invisible markers for mannequins is called an "X Marker Heading." It is a red box inside the kit and tells the person, or mannequin, which way to face. These markers are also used for NPC's to face each other for their scripted lines and such. All objects inside the CK have a 3D data info tab; this tab tells how the marker should face and when it comes to the X Marker Heading, if it is placed at Rotation 0.0000 on its XYZ axis, it can cause issues. This is a bug within the CK and has very little to do with packages. It is up to modders to properly mark their Rotations as 0.0001. This is also true for modders who add trigger markers, like for custom storage. 3) the modder forgot to make the X Marker Heading not at a perfect Rotation. Please consult the modders on their custom homes. 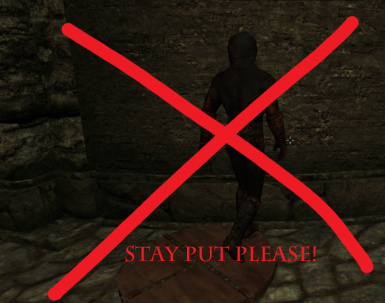 Remember not to yell at the modders! It is not their fault they have to deal with such a bug and these little things are easy to overlook and/or they did make the change but 1 and/or 2 above override their work. Note to Console Users: I do not own SSE on a console, HOWEVER, I did put it on Bethesda for testing. Clicky here and let me know how it works for you. Credits: Bethesda because it is their game. Also DarkFox127 because he has some amazing tutorials and I picked up an idea for a package from watching one of his videos :) Thank you DF127 for all your tutorials and contributions to the community!